Here in Glasgow it is less than Summer like - it is dull, grey and raining but hey it could be worse! I'm not typically one who enjoys Amber based fragrances but this beautiful amber based fragrance is divine, it combines notes of sandalwood and patchouli so that it is slightly floral and not at all overpowering. I can't quite place what this reminds me off - I want to say it is very similar to Robert Cavalli Exotica Perfume but I guess if you haven't tested that such comparison will be of little use. Basically a warm, romantic floral scent. This is very fruity, which surprised me. 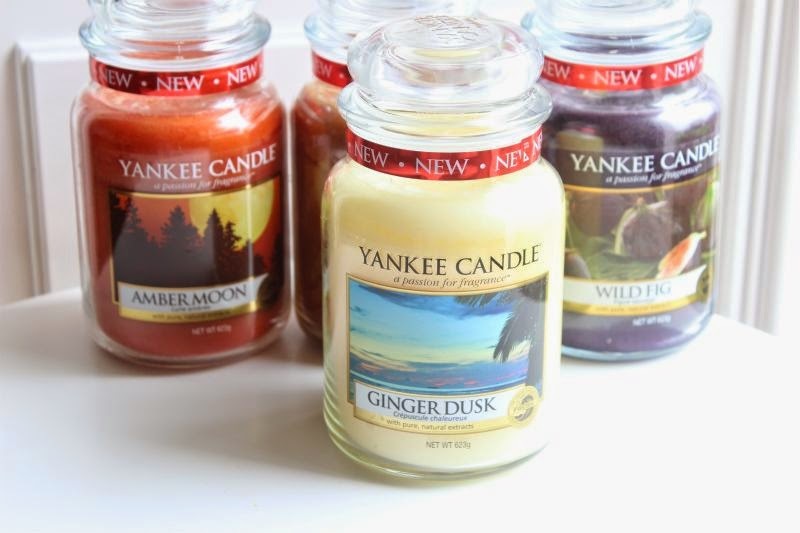 You can not detect the Ginger note at all, rather this is a bright, sunny fruit salad type of scent that is not sickly sweet. I would say this is the safe choice out of the four fragrances, I can't imagine anyone not liking this in all fairness. To know me is to know I am no fan of honey fragrances, I'd go as far as saying I loathe honey based scents. Hate! Yet this gets the thumbs up from me, it is sweet and oddly comforting. If you are a honey lover this is not going to be for you as it is not at honey based rather it is very floral and quite strong. Like most I really enjoy Fig based scents but when it comes to Fig candles very little compares to Diptyque Figulier and to be entirely honest there are not many budget friendly Fig based candles out there. 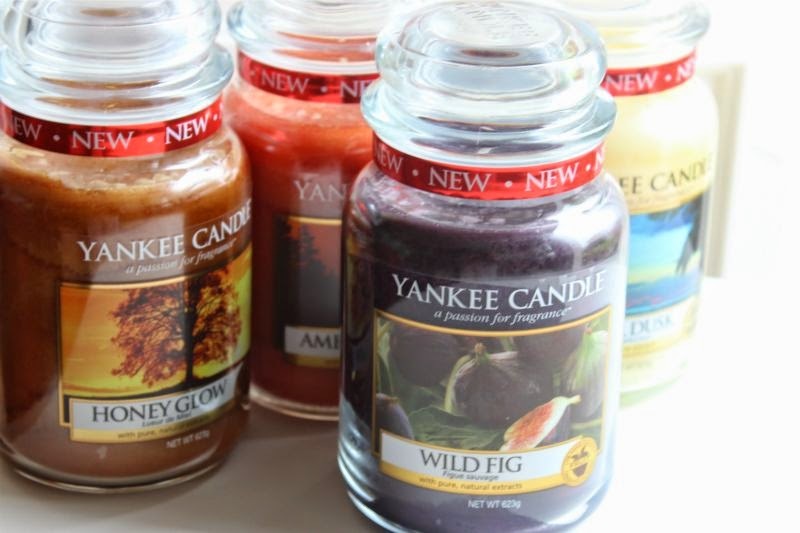 Enter Yankee Wild Fig a true Fig scent that is not worlds apart from Diptyque Figulier but about ten times the size of said candle and half the price. I am pretty sure this is a limited edition so it really is a case of get it while you can. 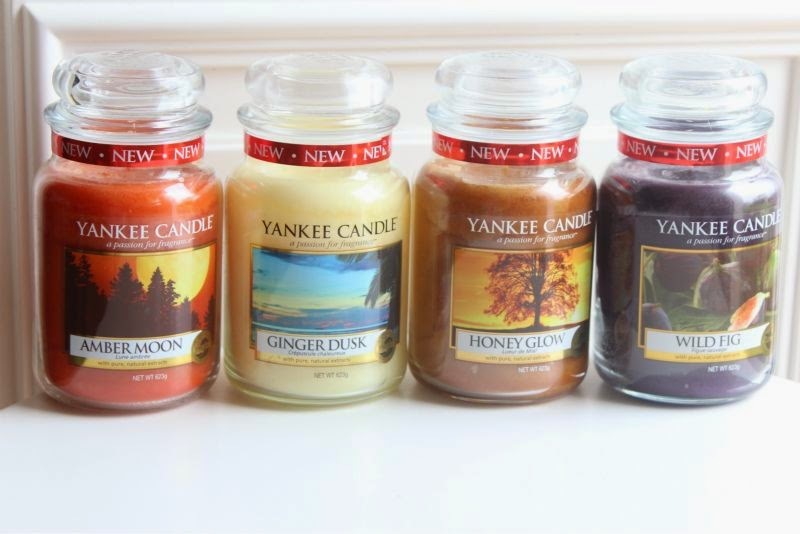 and you can enter Yankee's latest giveaway to win a holiday worth £5000 here too - link. 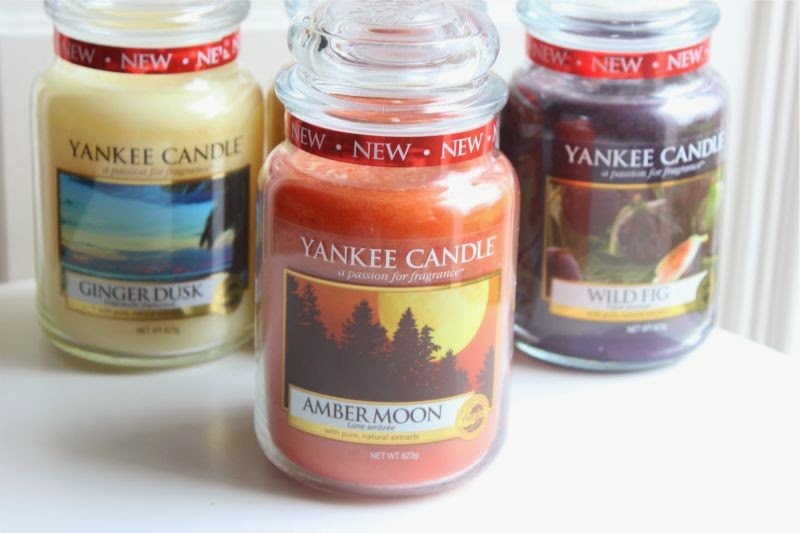 Hi to me Amber Moon is a little of beloved Golden Sands but stronger and more exotic blend. Beautiful. Thanks for the great reviews! 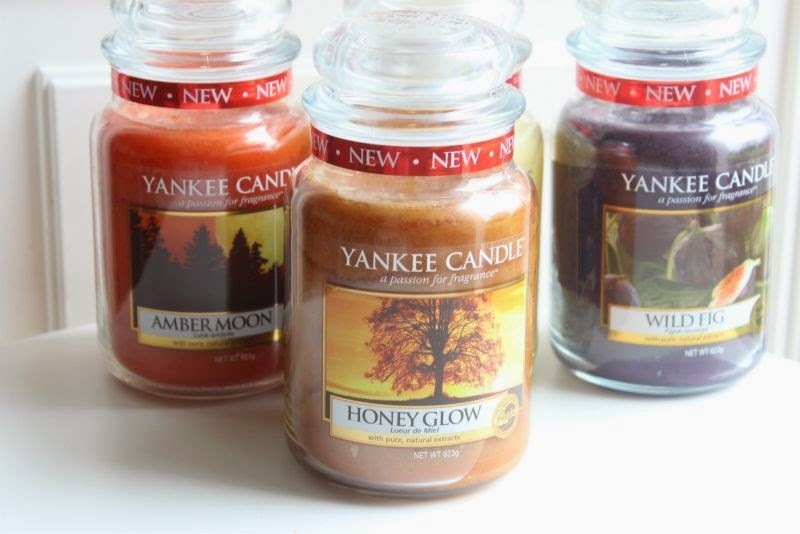 I just reviewed these too, oddly enough we got in stores Cranberry Pear instead of Amber moon :) But it's my favorite out of the bunch!